Pixie Hill: Wildfire and True Luv 4 Evah! Wildfire and True Luv 4 Evah! 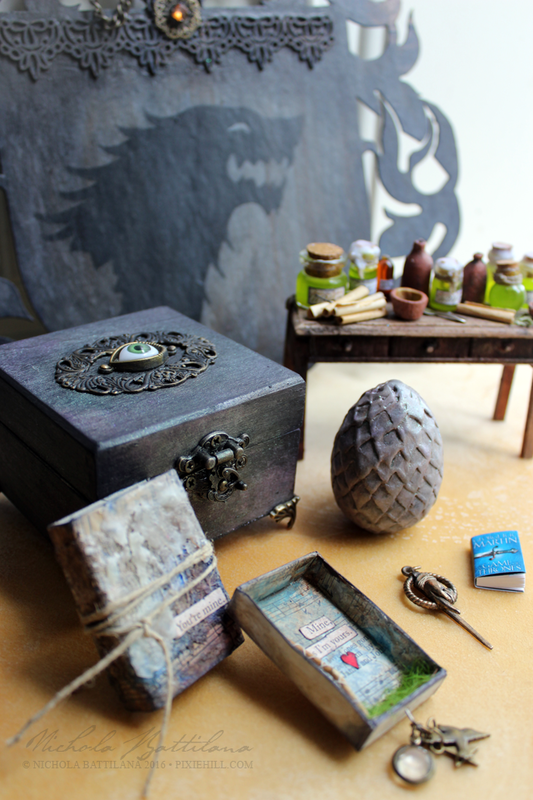 I've been working on a package of Game of Thrones goodies for a crafty buddy. 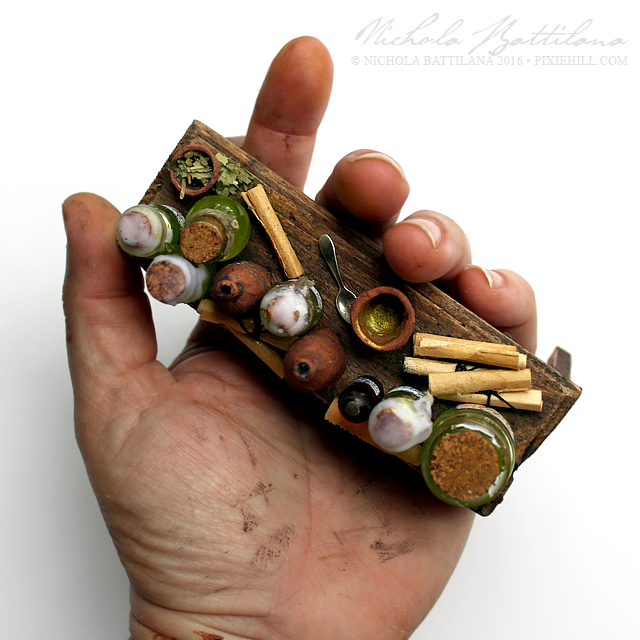 Last night I made a little bottle of Wildfire... and then things just sort of grew. 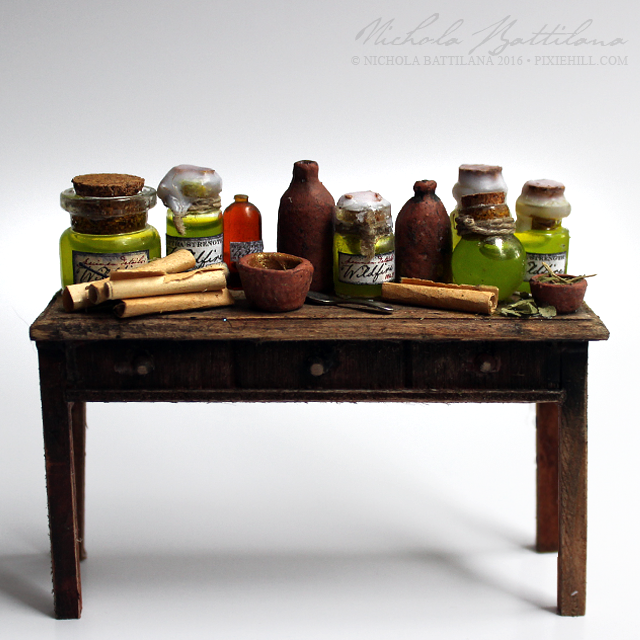 A table full of glowy green vials of dangerous stuff, scrolls, bowls and more. Can we talk about my hands for a second. I have serious envy when I see other lady crafters hands in vids and pics. Beautifully manicured nails, clean, long delicate lady-like fingers! And here's my forever grotty grungy digits. My filthy uneven nails. My little kid hands. *sigh* I do like that they reflect work... but a day of dainty would be nice once in a while. But, I digress... the little table is an inexpensive and wobbly wooden thing from the kids section of a discount store. 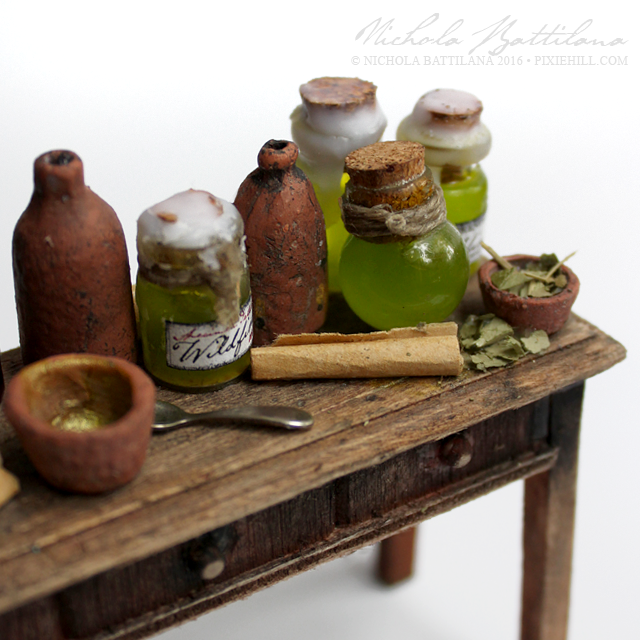 The vials can be found HERE. The little bowls and jugs are made from air dry terra cotta clay. 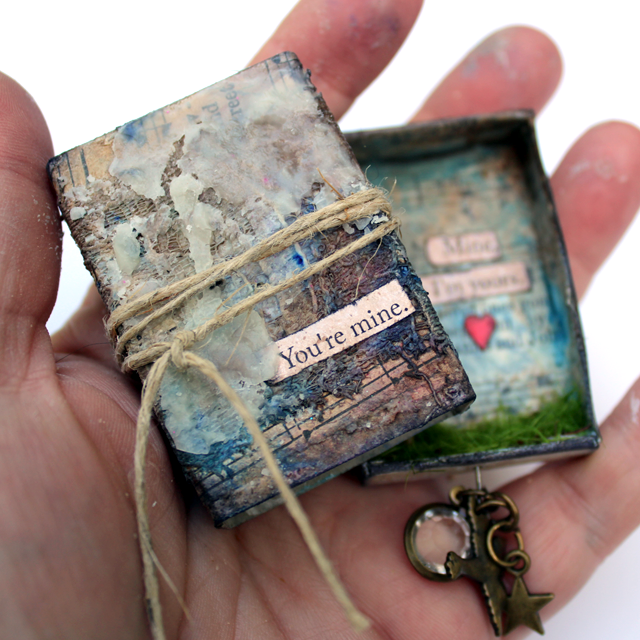 "You're mine. 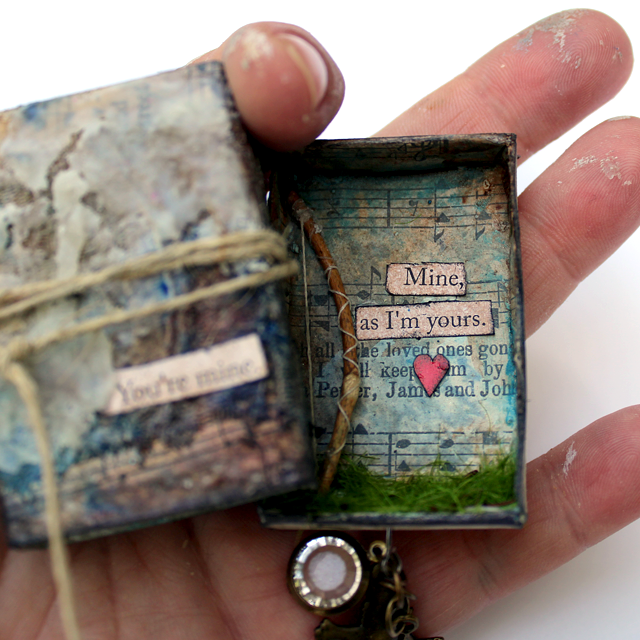 Mine, as I'm yours." Jon Snow + Ygritte 4evah! I did love those two as a couple but I'm much more of a Littlefinger or Sandor groupie than a Jon Snow girl. "Only the ladder is real. The climb is all there is." Yeah, baby! Time to pack up all these bits and send them on their way. I hope she likes them as much as I've enjoyed making them for her. And a happy Monday to you, lovely! There seems to be an epidemic of the 'blahs!' going around so I hope the world is nice to you today. Lucky recipient......and your hands are beautiful. I like how your hands are, it shows work. And that I am not alone with getting stuff all over me when I work on crafts. 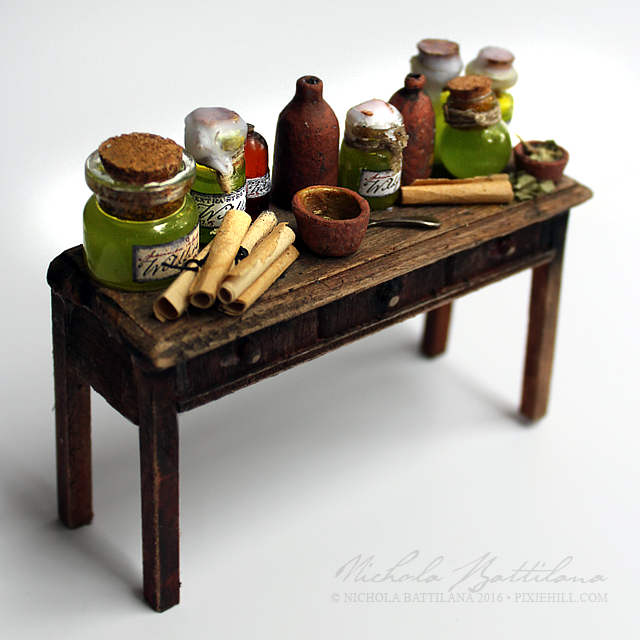 what wonderful little treasures - lucky crafty buddy! your hands look fine to me - I wish mine were so well cared for! Don't even get me started on the hands subject. I have very tiny hands and short fingers and nails that never grow. All I ever wanted to do was play guitar but my fingers are so short that is never going to happen. My Mother has the most beautiful long fingers with perfect manicured & polished nails and I always was in awe of them. That aside your friend is one lucky person as this project/gift is just amazing. Does your brain ever rest? You just pump out once amazing project after another. Wonder if I can bribe the postal man to deliver it here instead. Fantastic job. I too have short fingers but I did manage to play the guitar. Your mind must be going a zillion miles an hour with all the creativity you show us on your blog!!! Do you ever get dizzy?? lol Love your table!! lol Lately I'm convinced all of my friends are trying to kill me slowly with terrible jokes and puns.